Dog submissive urination can be worrying, upsetting and even confusing for a new puppy owner - but you can help your pet overcome this instinctive canine behavior. 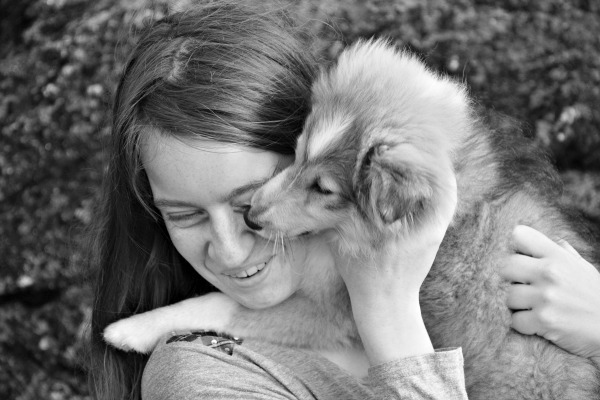 Does your puppy or dog squat and pee whenever she meets someone new? Does she piddle when you or another family member comes home at the end of the day? When faced with just a situation that is scary, threatening, exciting or emotionally-charged is her first instinct to produce a puddle? If so, she is showing clear signs of dog submissive urination - and it's something she has absolutely no control over! 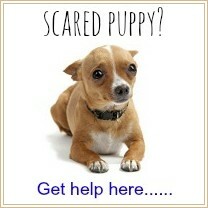 This is a pretty common behavior, especially in pups who lack in self-confidence or are naturally a bit anxious. Submissive urination is NOT a housebreaking issue. It also shouldn't be confused with 'scent-marking' or dominance. This type of uncontrolled urination is a clear sign of a submissive nature and your dog is urinating this way in an attempt to demonstrate her submissiveness. 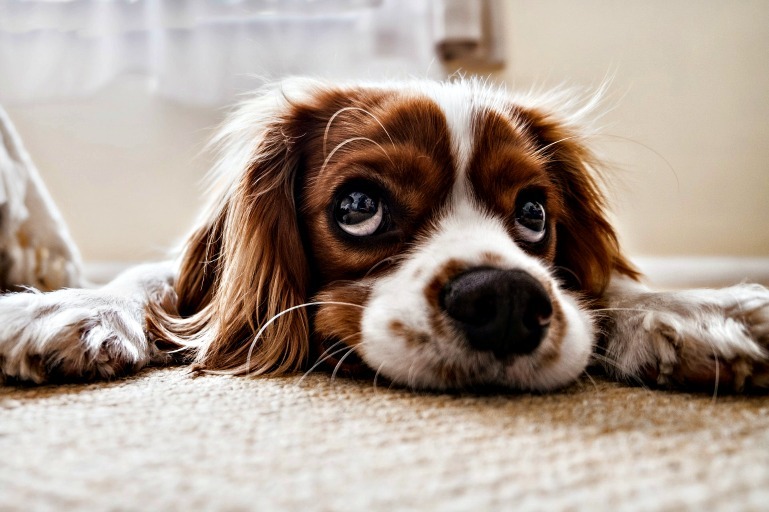 Although any dog can exhibit submissive urination, it's most common in puppies and particularly in female puppies (under 1 year old) and the small/tiny breeds. Most puppies eventually grow out of this behavior, especially when their owners understand it and approach it correctly. If your puppy or dog is having this problem, it's very important to understand that she isn't being 'bad' or disobedient, or urinating because she needs a potty break. A dog will often urinate submissively when greeted by, or in the presence of, the dominant or 'alpha' of the pack. It's a very obvious way of showing respect to a higher-ranking pack member, and a gesture of submission. She's simply trying to pass on a message (totally instinctively, it's not something that she has physical control over because it's an emotionally driven behavior) that in the 'dog world' is completely normal and understood by all parties. Unfortunately in the human world something is lost in translation! Unfortunately (and counter-productively) a normal human response to submissive urination in dogs is often one of irritation, annoyance or frustration. If your Persian rug happens to be what your pup is standing on when she greets you submissively, then your aggravated reaction is perfectly understandable to another human, but not to your dog. From her perspective, she has just shown you (in no uncertain terms) that she's completely submissive to you and recognizes and accepts your authority - and she expects you to be satisfied with that. When you react in frustration or irritation (even if it's mild), she is totally devastated and thinks that she hasn't been submissive ENOUGH. The result of her conclusion is pretty obvious - she needs to pee more! This is dog/human mis-communication at it's worst! From this scenario, you can see how important it is to approach submissive urination from the canine perspective. DO NOT ever get angry with your puppy, or shout/scold or punish her for this behavior. It will absolutely not work, and will most likely make the situation worse. Resist the urge to 'correct' the behavior and ignore it instead. A puppy or dog with submissive urination problems is most likely to behave this way in certain situations. When she's excited, fearful or especially anxious. These are just some of the times that your pup may instinctively urinate submissively. 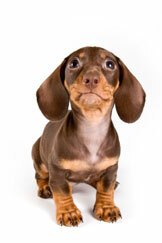 They can vary somewhat from dog to dog, and even change as your dog matures and grows. Luckily once you recognize what is going on, you're going to be in a position to help your pup overcome this behavior. I've used the term 'managing' rather than 'curing' because being successful in reducing this sort of behavior really depends on how you handle (or 'manage') the episodes of urination. As I mentioned above, scolding or punishing your pup for this behavior is counter-productive. Instead the best approach is to try to avoid the situations or gestures that 'turn on the faucet'! Plan ahead to reduce the 'damage' (ie wet carpets) it causes, and then treat the whole thing in a calm way and ignore it as much as possible. An example of this in action would be to confine your pup to a room with an easy-clean floor and a baby-gate at the door, while you're out. When you come home, don't greet your pup right away, instead potter around for a few minutes without making eye contact or talking to her. Then enter the room she's in and crouch down beside her and say 'hello' calmly and quietly, petting her under her chin. For a dog with submissive urination problems, a heightened emotional environment of any kind (whether from excitement, anger, tension etc.) is likely to cause her to urinate. Keeping the overall 'tone' in your home low-key and relaxed can go a long way towards reducing the severity and frequency of the problem. Work hard at interacting with your pup in a quiet, non-threatening way and bear in mind that her perception of your actions may be quite different from your intent. For example, direct eye contact, reaching over her head to pet her, or standing directly over her are all potentially dominant actions in the canine world, and she will likely see them this way. 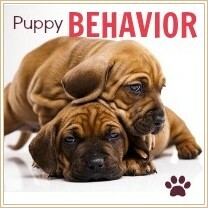 That's why these behaviors often trigger urination in susceptible pups/dogs. A pup who is a 'submissive urinator' is often a bit shy or anxious, has a submissive personality and may lack self-confidence. Helping her to be successful in basic manners and obedience training and giving her plenty of socialization helps to build self-confidence, which in turn combats her overly-submissive behavior. Do make sure that any training you do is of the positive, rewards-based variety, and go out of your way to help her to feel successful. Always end a training session on a positive note, and go at her pace so that she doesn't feel stressed and anxious. Puppy Clicker Training seems to work well for many puppies.